David Wagner, alongside Dean Hoyle and newly-appointed Head of Football Operations David Moss, has yet again delivered a successful transfer window – and I doubt his business is finished either! 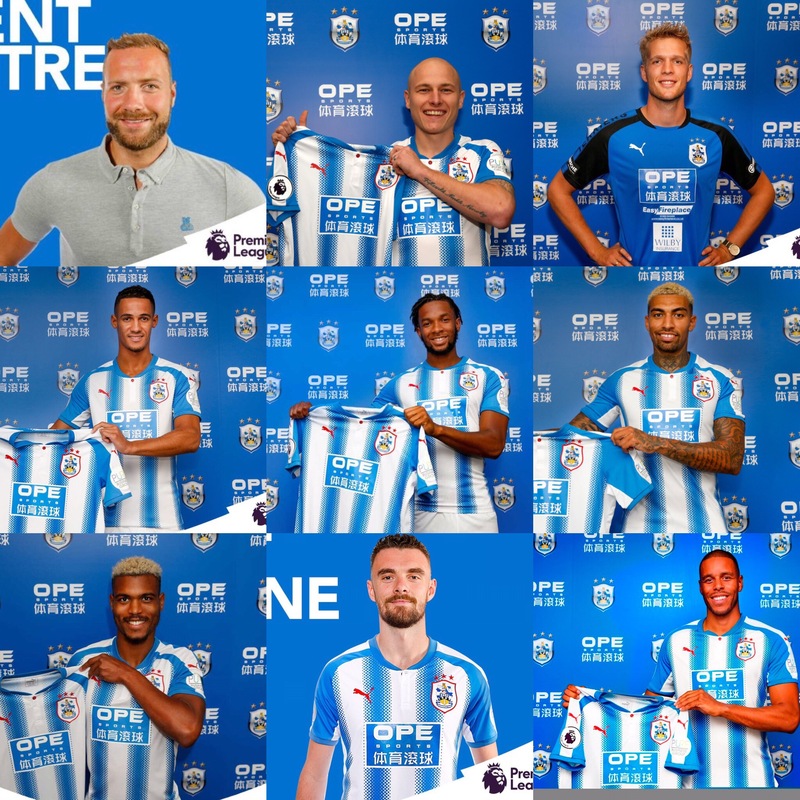 During his tenure as Huddersfield Town Head Coach, Wagner has emphasised the need for additions to improve the quality and depth of the squad. This summer has been no different, as Wagner and co. have tried to assemble a squad big enough and good enough to compete in the Premier League. A mad few days of signings last week took Town’s tally to nine incomings, and the spending to around £40million. Despite numerous poorly-researched reports in the national media claiming Town are recklessly spending, the Town hierarchy have got the bulk of their business done prior to pre-season, and there is no doubt that the signings made will improve the current squad. It is yet to be seen what tactics and formation Wagner will adopt in the coming season, however with the signing of Belgium international Depoitre, it suggests Town are going to play with a target man. The 6’3″ striker signed from Porto is physical, strong, and has a yard of pace to get away from defenders. Whether he will be a regular starter is yet to be seen following the arrival of record signing Steve Mounié, but he will certainly add depth and quality to our existing striking options, who weren’t very clinical last term. Anyone who watched Mooy last season will know just how crucial and influential he was to Town eventually gaining promotion to the top flight. His permanent addition means a continuity in his crucial all-round midfield spot, and there is little doubt as to whether he will cut it in the ‘big-time’. As far as complete midfielders go, Mooy isn’t far off. He can tackle, pass, score goals, and to many, he’s the best player they’ve seen in the blue and white stripes. Like most of Wagner’s signings from Germany, Lössl comes as relatively unknown. However, if he is close to having the impact that Kachunga, Hefele, Löwe or Schindler have had, I’m sure he will prove to be a vital player. The Danish international, who played over 30 games for Mainz in the German top division last year, is an excellent shot stopper, and standing at 6’5″ is a major presence. Town potentially see Lössl as a long-term number one choice, as they agreed an option to buy following this season-long loan contract. I probably speak on behalf of the whole Town fanbase when I say that I never enjoyed Town playing against Tom Ince. His pace, skill and clinical nature from out wide has lit up the Championship for a number of seasons, and he could fit right in with Town, as both player and club look to make the step up in divisions. Although Derby failed as a team last year, Ince scored 15 goals and added a further 6 assists. These figures only added to an impressive record of scoring or assisting 52 goals in just 105 Derby appearances. End product from out wide is something that will be welcomed at Town, especially alongside the revelation that was Elias Kachunga. Another player who needs no introduction to Town fans. Palmer was instrumental in Town’s success of 2016/17, even though an injury kept him out of a large part of the second half of the season. Particularly in the early parts of the season (prior to Izzy Brown’s arrival), Palmer added energy, pace, neat footwork and creativity to Town’s lineup. At 20-years-old, despite admitting that Wagner made him come of age, the Chelsea loanee still incorporates the traits of fearlessness and youthful exuberance. Palmer fits the category of being able to create ‘something out of nothing’, and could be a crucial weapon in Town’s battle to survive this campaign. Williams arrives from Reading having been the best player on the Wembley turf when we matched up in footballs richest game back in May. Williams managed to limit the influence of Town’s main man, Aaron Mooy, and anything that Reading created came through him. Similarly to Wagner, he is an American-German, and is familiar with many of Town’s German squad members. The all-round central midfielder is tough, has an array of passing, and carries the ball well. Crucially, he offers a different type of option to Mooy, Hogg, Billing and Whitehead. Possibly the most exciting signing, Mounié is fresh from netting 15 times in Ligue 1 last season with Montpellier. The 22-year-old has plenty of years ahead of him and is another physical presence at 6’3″. He won the most ariel duels in Ligue 1 last season, a high since 2009. He is an incredibly exciting prospect and offers not only a threat in the air, but he is extremely mobile and links play well. He is very versatile, and is used to playing as a lone striker in a 4-2-3-1 system – a formation Wagner seems to favour. Mounié will no doubt add quality to an already exciting looking frontline. Chris Löwe was ‘Mr Consistent’ last season, and his excellent performances week in, week out contributed massively to Town gaining promotion. However he didn’t have any genuine competition for his shirt (no disrespect to Tarieq Holmes-Dennis). Wagner no doubt wants actual competition for the full back positions, particularly as they play such a key role in Wagner’s system. The arrival of Scott Malone will do just this at left-back, as he (behind only Tommy Smith) was the second most productive full back ion the Championship last season, in terms of goals and assists. Although his defensive work will undoubtedly be worked on with the help of the coaching staff, many fans will remember his excellent display for Fulham at the John Smith’s back in April. Jørgensen is another exciting signing, adding depth to an already solid defensive unit. The Danish international is a serial winner, and has over 60 appearances at the very top levels of European football (Champions League/Europa League). His physicality will suit the intensity of the English game, and his composure and passing ability will match Wagner’s principles. At a bargain price, Jørgensen is also a threat from set-pieces, an area Town will look to improve on from last year.